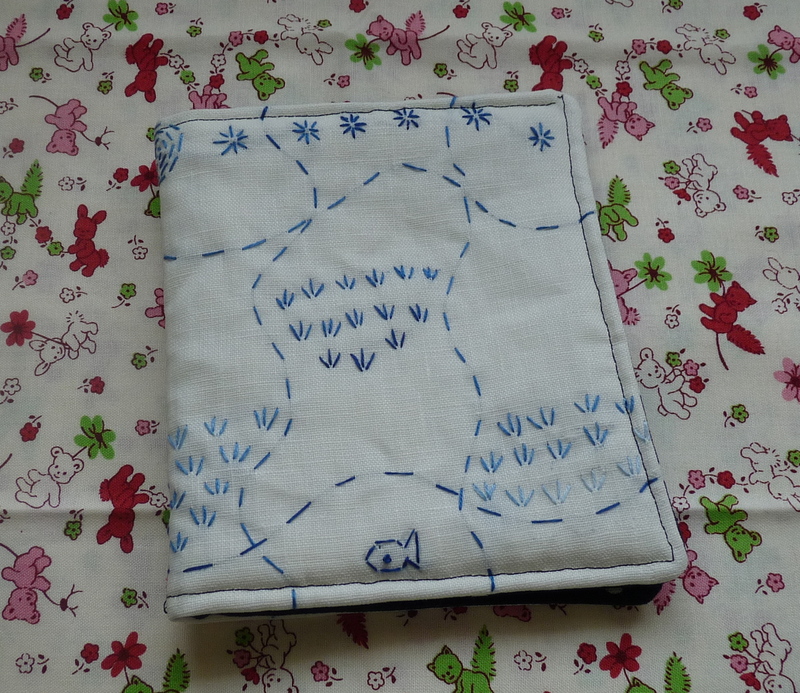 The brief was to do an sampler for a needlebook case- as the class was only an hour long we took it home to finish and finally last night I got to the stage where I was happy with it. Et.. voila the finished needlebook. 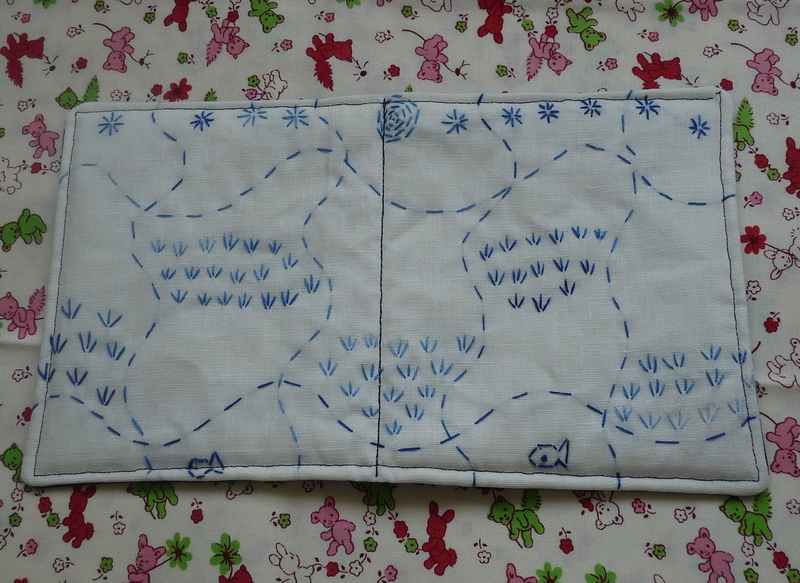 Matthew commented on the poor fish but overall I like it and I’m sure once I’ve practiced a few more I look back and see how far I’ve become..
Is anyone else thinking of going to the West Country Quilt Show in Bristol in November? 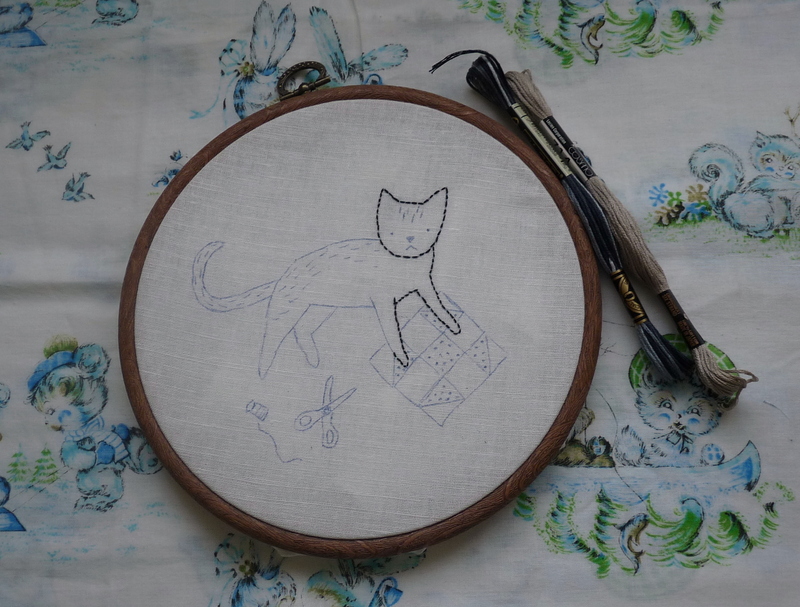 Sarah is teaching the hand embroidery class there… and also a free motion quilting one which I can’t wait to try as my skills are non existent. And I’m waiting to see what class Alicia Merrett is doing as I loved her satellite map quilts from the Festival. Well done on trying something new! Actually, linen is a much better choice than Kona Snow, especially for a beginner. 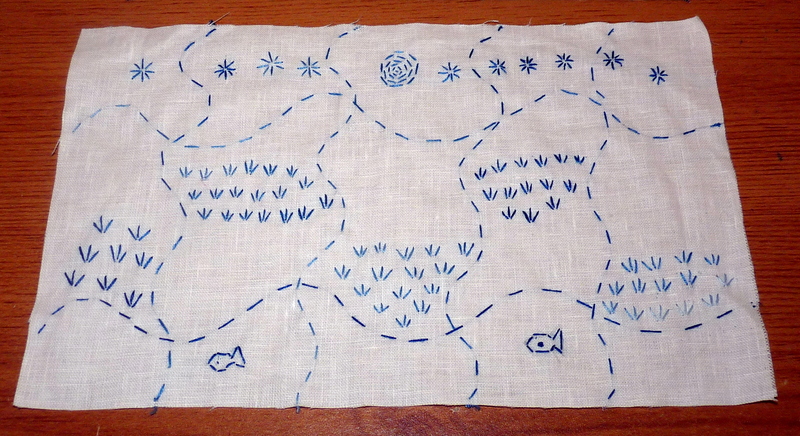 Linen really holds up to stitches being pulled out and restitched, cotton wouldn’t hold up so well and might also require some stabiliser behind it. The important thing is you had fun doing it- Alex is always pointing out the flaws too grrr men- just cheerlead, ok? !